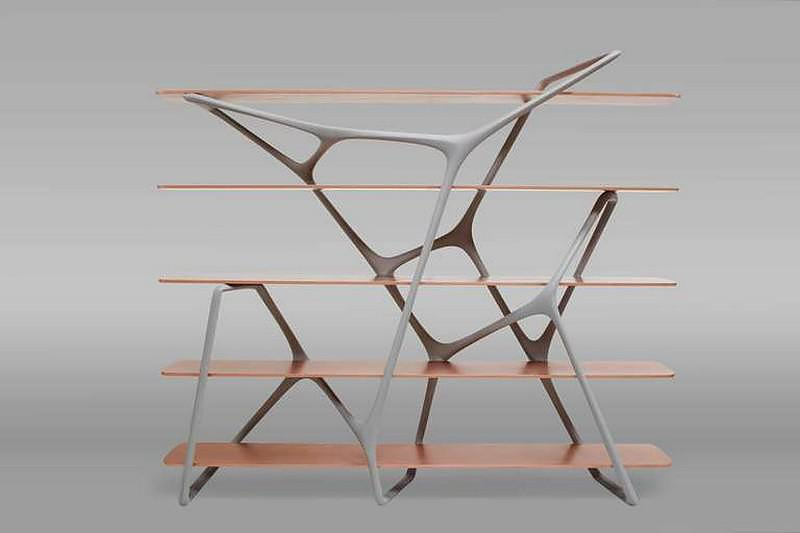 Naturoscopie I, Bookcase by Noé Duchaufour-Lawrance. 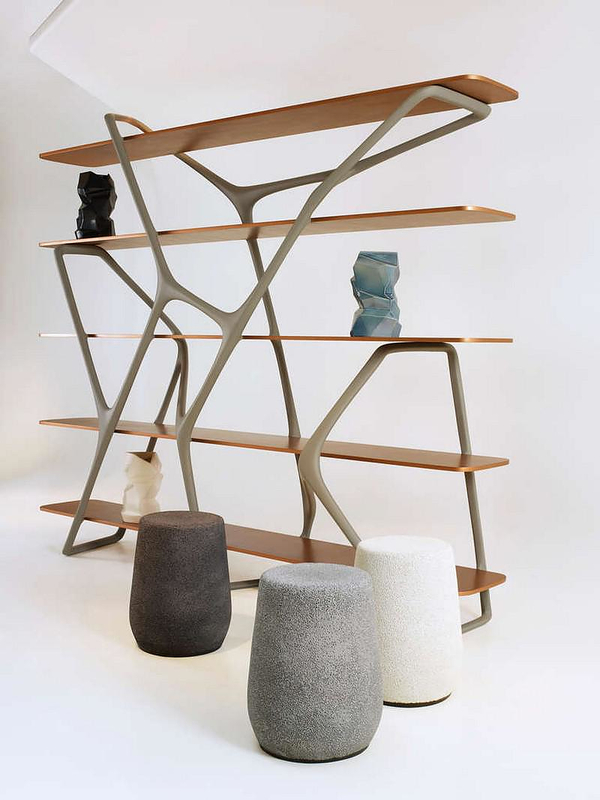 HomeBlogHome DecorNaturoscopie I, Bookcase & Room-Divider by Noé Duchaufour-Lawrance. 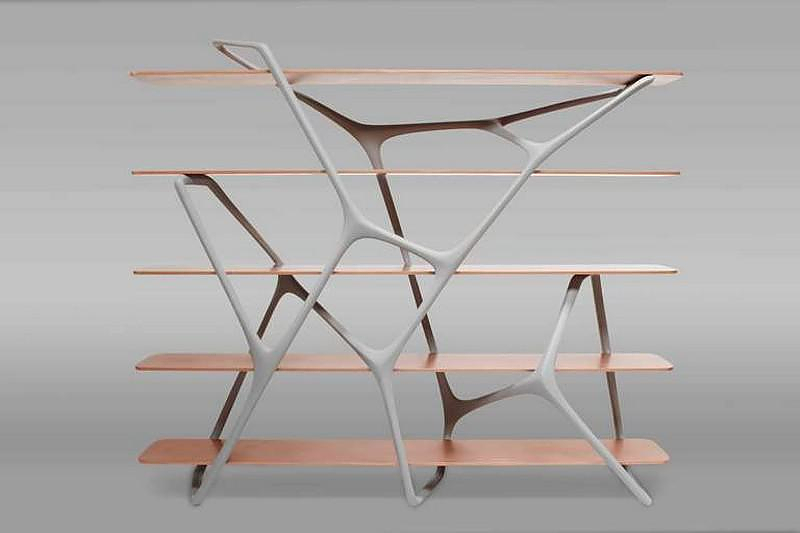 Naturoscopie I is an extraordinary organic-styled Bookcase by French designer Noé Duchaufour-Lawrance that can also be used as a creative room-divider. 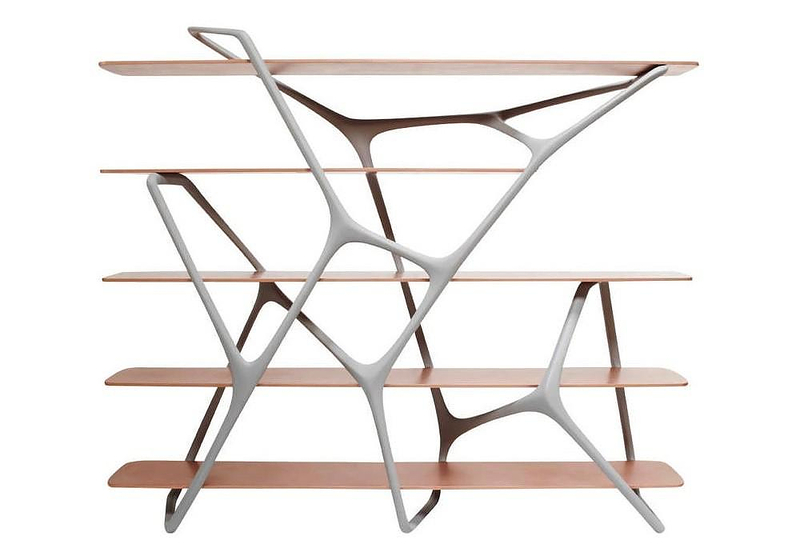 When designing the Naturoscopie I the French designer took inspiration from basic structures found in nature. From the cell to the star and planetary systems, the universe is formed of elements in networks and interconnected materials. This unique piece of modern design, interprets and shows the fundamental structure of life, whether envisaged on a microscopic or macroscopic level. 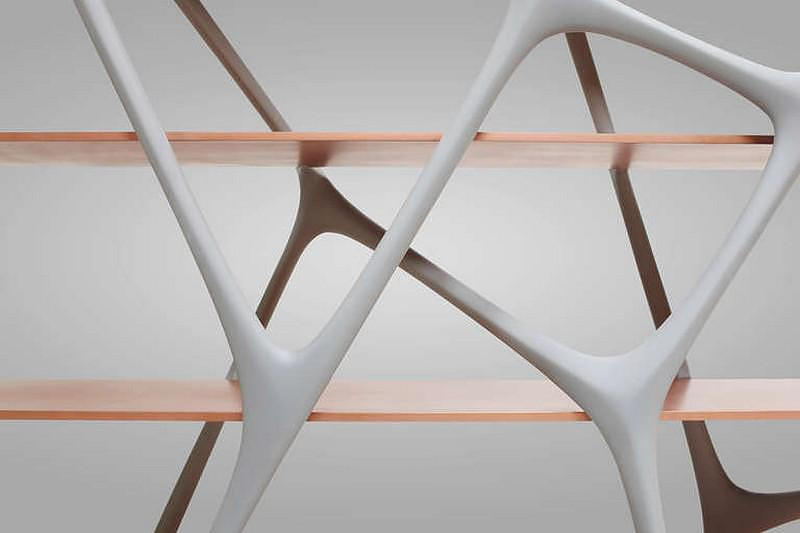 The Naturoscopie I bookcase is made using a very interesting miox of high-tech materials. The main structure-frame is built in carbon fiber, covered with a special varnish that is very soft to the touch. 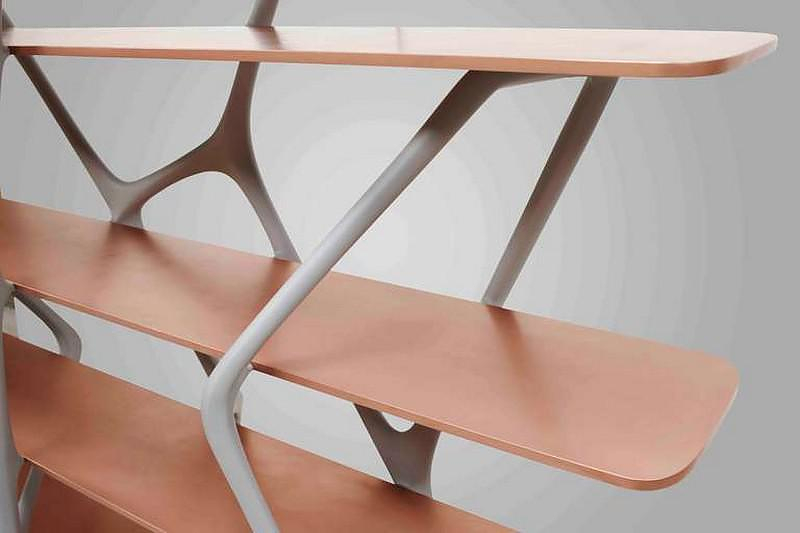 The five shelves are made of honeycomb aluminum upon which the sprayed copper powder gives a matte pink golden effect. “Naturoscopie I” is part of the Naturoscopie collection, that Noé Duchaufour-Lawrance designed exclusively for Galerie BSL in Paris and of course it is an extremely limited edition. 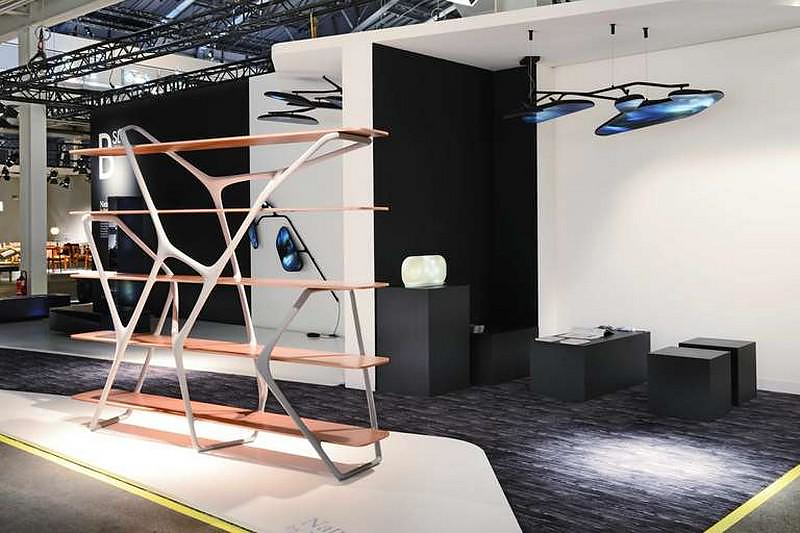 In this collection, the French designer and interior designer puts into perspective an idea of nature which is not imitated, but is rather harnessed, sensed and recreated. Here, the function of the design object (to light, to support, to reflect…) is infused with a primary emotional imprint, that of nature when the sunlight creeps through the foliage of a tree, when the sky changes with the wind, when the image of a sunset overwhelms the sensitive surface of our memories. 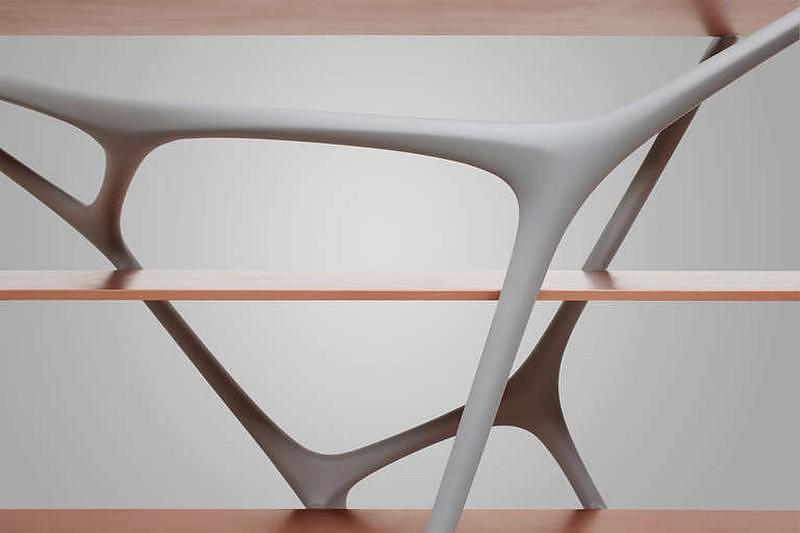 The organic shapes of the pieces, fluid yet structured, support and extend this sensory experience.